15 years ago, playing video slots online was nothing more than a futuristic idea – something that seems obscure. 10 years ago, playing slots online was becomming more realistic, with providers like NetEnt and Microgaming entering the online gambling world… but even then, no one could have predicted what online slots would end up looking like! In this post, we’re going to be taking a look at the history of slots. We’ll take a look at how slot machines started out – and what some of the first machines were. We’ll also look at how slots have transitioned from physical machines, to online video slots – so, let’s begin by taking a look at the first land-based slot machines, and how they were made! Land-based slot machines can be traced back as far as 1891, when the first (widely accepted) slot machine was released by Sittman and Pitt – a New York-based company. This strange-looking slot machine was built using 5 drums, and used actual playing cards to display the results. This machine was designed to be used in bars and pubs, and it cost a nickel to play. In order to play the machine, players needed to insert their money into the coin slot, and pull the lever to play the machine. In order to form a win, players needed to make various poker hands on the reels. To achieve a house edge (to allow the establishment running the machine to make money), two playing cards were removed from the reels. 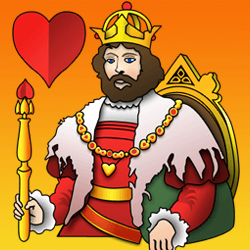 These cards were the ten of spades and the jack of hearts. While that may not sound like much, the removal of these two cards made it twice as hard to make a royal flush. Interestingly, this first slot machine didn’t have any way of paying wins itself, so wins were collected at the bar. At first, there weren’t any monetary prizes; instead, they were things like free drinks, cigars, and cigarettes. The first slot machine like we know, today, was created in around 1895 by a man known as Charles Augustus Fey. Fey decided that – while the existing machines were OK – players should be able to play a machine that featured automated payouts… and that’s why he created the Liberty Bell machine. In this machine, Fey removed the five drums with 3, instead – and he took out the playing cards completely, replacing them with just five symbols. These symbols included hearts, spades, diamonds, horseshoes and a Liberty Bell. If a player managed to match a 3-of-a-kind payout of the bell symbols, he or she would awarde the top payout – and this was paid automatically from the machine, eradicating the need for bartenders or other human figures to award players the actual prizes. Interestingly, Fey didn’t acquire a patent for the Liberty Bell slot machine, and this lead to his machine being copied by a number of other slot machine developers. In 1902, slot machines were banned – yet despite this, the Liberty Bell machine continued to be manufactured, thanks to its popularity. However, cash prizes were no longer allowed to be offered. This is where the Fruit Machine was born. To get round the cash rules, developes started giving out prizes in the form of chewing gum and sweets (yes, really!) These machines were never quite as successful as the ones that paid cash prizes, but it was a clever way for the developers to get around the no-cash law. In 1907, a slot machine manufacturer called Herbert Mills (based in Chicago) released a slot machine called the Operator Bell. This proved to be the most successful fruit machine to date, and it was found in a large number of tobacconists, bowling alleys, shops, and various saloons throughout the USA. The Operator Bell was the first slot machine to feature the ‘BAR’ symbol – something which we still see in a number of on and offline slot machines today. 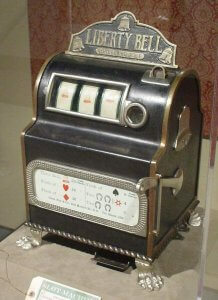 In the 50-odd years between the release of the Operator Bell and 1964, slot machines remained mechanical. Variations on the Operator Bell were constructed, but nothing ever managed to achieve the same levels of success. In 1964, however, Bally released the first fully electromechanical slot, and it was called Money Honey. The reels were displayed in a fully electronic manner, althguh players still need to pull a physical lever in order to activate the game. The slot was also notable as it featured the first bottomless hopper (the part below the slot’s reels that dropped coins down, when a win was formed.) This hopper allowed players to receive a payout of up to 500-coins without needing to see an attendant. The electronic slot machine proved to be a pivotal turning point for slot machine development, and it proved to be incredibly popular with players. In fact, it was so popular, that the well-known lever mechanism was soon pulled completely from slot machines, allowing players to operate machines with nothing more than touch input on the reels themselves. The first ‘video slot’ per se, was created a decade or so later in 1976. The machine was created by a company known as Fortune Coin, based in Kearny Mesa in California. The developers took a 19-inch Sony TV, and modified it to allow the slot’s imagery to appear here. It also proved to be an instant success, and appeared in the Las Vegas Hilton Hotel. Unfortunately, when the machine first came out, so crucial flaws were discovered, which were allowing players to ‘cheat’ the reels, and walk away with substantial payouts. After some modifications, the Nevada State Gaming Commission officially approved the machine – and this was the first time a slot machine had received approval from the State. 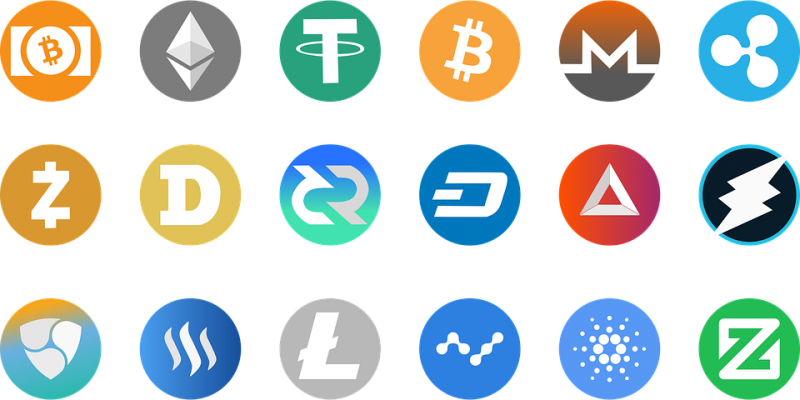 Soon after, it was placed in a number of land-based casinos in Las Vegas, and two years after its release, in 1978, Fortune Coin was acquired by IGT – the soon-to-be giant responsible for dominating the gambling scene in the USA. Slots continued to be developed rapidly – and other developers saw a huge opportunity to ‘cash in’ on the growing craze. The next major milestone in terms of slot machines came in 1996, when WMS (then known as WMS Industries Inc) released their first slot machine to feature a bonus round. The game was called ‘Reel ‘Em’, and it was one of the first games to look recognizable to the kind of game we may expect to see nowadays in land-based casinos and online casinos. When players managed to line up the required combo (i.e. the bonus round scatter symbols), players were taken to a seperate game screen, where a bonus round was played. During the bonus round, the payouts were higher than during the main base-game – and the major win-potential was found in this base-game, not in the base-game like we’d see up until this point. In fact, the paytable changed completely during the bonus round, so it was massively in a players’ interest to reach this bonus round if he or she wanted the best chance of winning big. The release of this slot – along with the continued increase in slot machine popularity – lead almost all land-based casinos to begin featuring slot machines in their venues. In fact, a whopping 70% of a casino’s income came from slot machines during this period – and casinos found them to be far more profitable than conventional casino table games. Video Slots – The Future? By the end of the 1990’s, developed were focusing almost exclusively on online video slots. Some companies – like Bally, and IGT – continued to focus on land-based machines, but operators saw that with the growth in online casinos, the future certainly appeared to be in online video slots, as opposed to land-based ones. Around this time, we saw some of the major names in today’s online gambling world crop up. 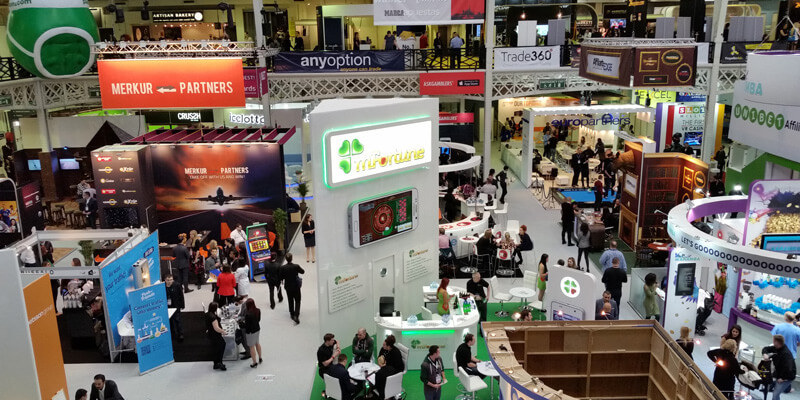 Companies like NetEnt and Microgaming began dominating the online gambling scene, and we saw a number of successful releases change the way games were played, forever. Below, we’re going to look at a few of the groundbreak video slots that helped shape the future of online slotting. Gonzo’s Quest: Gonzo’s Quest remains one of the most successful slot releases in history, and it was one of NetEnt’s most successful slot releases ever. The game features a very unique ‘Rolling Reels’ mechanism which sees winning symbols disappearing off the screen, only to be replaced by new ones. It’s a very volatile game (which means wins are quite scarce, but generally bigger when they do come), and the bonus round – which is activated by landing three of the scatter symbols on the first 3 reels – awarded players with 10 free games. During these gree games, a multiplier trail was activated, which allows wins to be multiplied by a whopping 15X. Immortal Romance: This one of Microgaming’s first successful slot machine releases, and this Twilight-inspired slot follows a number of characters; Amber, Troy, Sarah, and Michael. The game is packed with five features, and one of them – known as the Wild Desire – allows all five of the game’s reels to be transformed into wild reels, allowing for some mega win-potential! The game is also famed for its use of a 243-ways-to-win mechanism. This eradicated the need for paylines, and in order to make a win, players simply needed to match three or more matching symbols on reels from left-to-right. Around this time, we started to see other game developers entering the online market too. Playtech – an Israeli gambling giant – are a good example, and while their games aren’t as accessible as games from, say, NetEnt or Microgaming, they managed to secure some lucrative contracts with Marvel Studios, to help expedite the popularity of their slots. As the popularity of video slots continued to increase, so did the technologies behind them, and around 2010, was saw developed beginning to optimise their games for mobile users! This meant a complete change in the way slot machines were made; developing them in Flash would no longer be sufficient, as not many players would be able to utilize the games from their mobile device. Instead, the games were built using a form of technology known as HTML5. This allows the games to automatically resize when opened on a mobile device, and it paved the way to the mobile slot development world we see today. Almost all developers today choose to build their slots using HTML5, as – not only does it allow players to enjoy the action from their mobile devices – but it also makes playing from desktop devices much easier as well. Some of the bigger developers like IGT and Microgaming have been a bit slower to adapt to the whole ‘HTML5 craze’ – but almost all other game developers now build their games using HTML5 – and this is a trend which appears to be continuing into the future with no signs of slowing down! In the past few years, we’ve seen video slots become a lot more volatile. This has been driven primarily by companies like BIg Time Gaming, who realize that a lot of players aren’t looking for smaller wins – instead, searching for the big, one-off 1,000X + kind of hits. Since the success of Big Time Gaming’s “Bonanza” and “Danger High Voltage”, we’ve seen a number of developed adapt, releasing their own high variance slots, and it’s’ clear that this is a trend which is unlikely to disappear any time soon. In fact, high variance games appear to be the future of slotting. While the creators of machines like the Liberty Bell probably never envisaged slots becomming as volatile as they are today, it’s impressive to see how the industry has adapted – and game developers are now increasingly listening to what their players want – taking on board customer feedback, and game trends. Well, most players think the continued increase in volatility is going to keep making an appearance. Whether this is going to stay the same or not remains to be seen, but one thing is clear; as of now, players are in search of MASSIVE hits – so we’re probably going to see developers continue to release their highly-volatile machines!